Many secrets and mysteries are still hidden when it comes to the Crystal Skulls. There are 13 mysterious skulls that are said to exist today. Now if you go to Wikipedia, you will notice, that there have been a lot of forgeries that have been made in the 19th century by artisans in Europe for the purpose of selling to museums as actual crystal skulls found in the Mayan and Aztec empires on the other side of the world. To make these forgeries they used the quartz crystal that was found in river beds, close to the Baja Islands, and close to Belize. 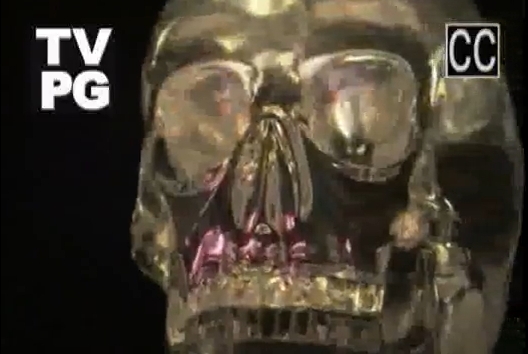 I am not saying that all of the crystal skulls are fake however. There are plenty of mysteries surrounding these artifacts, not to mention, there popularity in fiction books, and movies, like Indiana Jones and the Kingdom of the Crystal Skull. Indiana Jones boards a train in this movie with the numbers '503' which are the numbers of the infamous secret organization the Illuminati, according to the movie Angels and Demons with Tom Hanks. Is Hollywood trying to tell us that Harrison Ford is literally on the Illuminati train? But wait there is more...Some of this movie's scenes even take place at Yale University. This is the home of the secret fraternity of Skull and Bones. President Bush, and John Kerry were both members of this secretive organization. Even if they aren't Illuminati per say, which they probably are anyways, it is a known fact, that they were both members of the Skull and Bones. The Skull and Bones fraternity are said to have many famous skulls, behind there walls there on the Yale University campus. All I have to say is Don't Tase me Bro! We aren't finished yet though with Indiana Jones. The other Indiana Jones movies (Raiders of the Lost Ark, and The Last Crusade) had scenes inside the famous UK Royal Masonic School for Freemasons, go check it out on Wikipedia, here i'll even make it easier for you Wikipedia junkies... http://en.wikipedia.org/wiki/Royal_Masonic_School . One last thing of note with the Indiana Jones Crystal Skull movie is that the Crystal Skull in that movie is not Human. Is the Illuminati trying to tell us something here? This is all very strange....but lets continue about the crystal skulls...Indiana Jones is a whole separate post altogether... LOL! Lets talk about F. A. Mitchell-Hedges. He was an acclaimed author, and adventurer, much like a real life Indiana Jones. 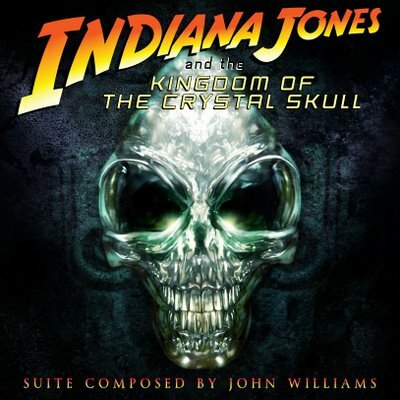 Where is the real Kingdom of The Crystal Skull you may ask? Well the answer many living Mayan Ancestors believe, is a Mayan ruin sight called 'Lubaantun', which means, Rocks that Fell from the Sky. During an expedition in 1924, with his daughter Anna, he was excavating part of Lubaantun, while Anna was playing near by. She found a collapsed altar, and looked inside, and thats when she found a life sized crystal skull. When her father saw this magnificent find, he knew he had to keep it secret, for fear it would be taken from him by the government of Belize. So he never spoke of it in his journals, and kept it a secret until his return home. F. A Mitchell-Hedges, died some years after this expedition, so the keeper of the skull was to be his daughter Anna. She kept the skull until 2007 while she took the skull and charged people to view it on display. Anna died in 2007, and left the skull to Bill Homann, who is also an accomplished archeologist that had great interest in the skull, and Anna felt he was continuing much of her fathers work today, by being involved in locating these skulls. This is why she left her crystal skull to him. This is a photograph of the exact skull that was found. Its perfection is very eerie, and still could not be replicated today without a lot of effort put into it similar to the Mayan Pyramids. Carving quartz crystal is very hard to do, and even if it is some sort of replica that was found, then remember the Indiana Jones movie, maybe the real crystal skulls of legend, are skulls not of this Earth. Like the name for the very city this skull was found implies, as I mentioned earlier. Another thing that is very interesting, is the fact that its made up of the same type of quartz crystal that we now use to build our semi-conductors or micro chips. Could this skull be retaining some type of physical data? Was it truly a gift from extra terrestrials? Even if it is a replica, I am certain there are real skulls out there, either waiting to be found, or that are heavily guarded secrets by our governments, for national security. Some believe that the 13 skulls of legend must be reunited, before 2012, to save Earth from a huge natural or universal disaster. 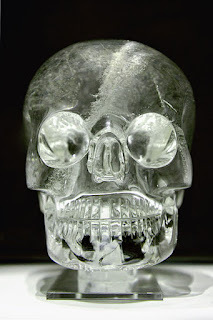 Information about the crystal skulls did not surface into main stream media until the mid 19th century which implies that the whole thing has been kept a secret from the public for a very long time. They still have a crystal skull on display at the British Museum even though it is a known fake. Why would they do this? Hewlett Packard got hands on experience with the skull thanks to Anna, and ran a variety of tests, that are all confidential of course to the company, but this could be the reason for many PC breakthroughs in the industry. Hewlett Packard labs, also found that the skull had built in light wells, that have been hallowed, so that the eye sockets, and the mouth would light up when the light hit it a certain way, possibly for rituals, or sacrifice. The Mayans did not posses the kinds of tools that would be necessary to create this effect. 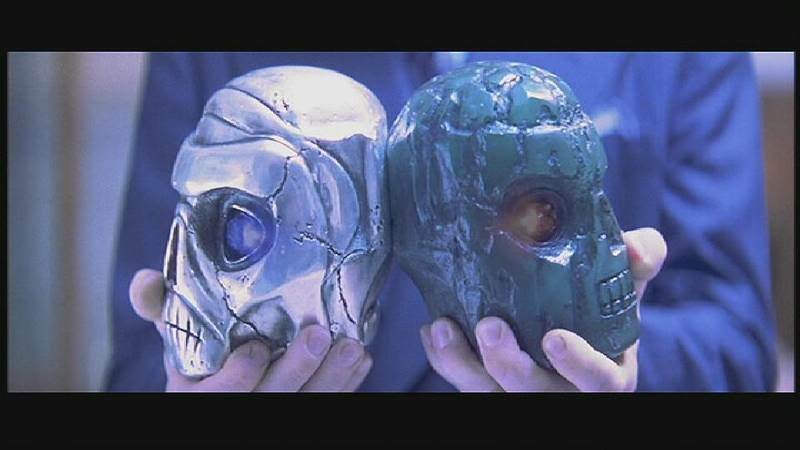 I believe there is an episode of the television series Stargate Atlantis, that makes direct reference to the skulls, and also the movie The Phantom, with Billy Zane, there are 3 magical skulls that must be reunited to form the 'ultimate weapon'. Very strange indeed. The Government and NASA have done there own crystal quartz research, and found the best environment to grow these crystals is in zero-gravity. There hope is to make a high powered semi conductor, which of course for all I know may exist today. They have probably classified the project as need-to-know, and have kept it from the public for our safety of course....yeah right. Some archaeologists believe that we will never understand the true meaning of the skulls until we reach a certain stage of human evolution, or technology level. The Mayan ancestors that are still alive today, speak of a great story told to them, in which the skull was given to them, by the gods that descended from the sky. Through prayer and ritual the Mayans are said to have extracted certain knowledge from the skull, could this be how they created such a precise calendar, that predicted eclipses and equinoxes of the sun? Who knows. Historians would love to believe that ancient human civilizations go as far back as 5 or 6 thousand years, but if this skull, or another skull is actually from ancient times, then human civilization could go back even farther, like 10-20 thousand years, and maybe even further out into the cosmos. Scientists say that The Moon is made up of crystalline material, and some believe even crystalline structures that hint at an ancient civilization having traveled to the Moon and beyond. 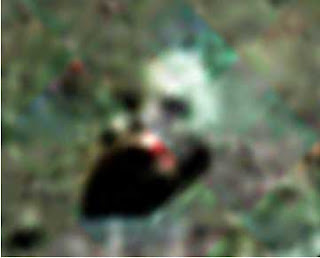 NASA even unwillingly released pictures of a skull like object that was found on the Moon. Of course NASA debunks this theory totally, like they did with the infamous Face on Mars. Could all this information be relevant to each other? The stories of the crystal skulls seem to create more questions than answers, and only the fool hearty will say that this is a case closed. Does anyone remember the press conference President Bush Junior had about creating a space station on the moon by 2015? Why did he do this? More questions remain. There are also huge crystal caves that have been discovered below the Mexican desert, that contain huge crystals. National Geographic channel just did a great show showing how huge the caverns of crystals are below the Earths surface. How did they find these huge crystal caverns? What were they digging for initially? Your guess is as good as mine. Please leave comments below, as always, I love hearing what people have to say about what I write. Love and Light.